Ellen McGinnis-Smith earned her Ph.D. in Special Education at the University of Iowa and certification as a school administrator from Drake University. She has been a teacher of special education at both the elementary and secondary levels for eleven years primarily in the area of behavioral disorders. Dr. McGinnis-Smith served as an educational consultant at Child Psychiatry, University of Iowa as well as in the public schools. She was principal of Orchard Place, a residential and day treatment center, in Des Moines, Iowa for 10 years and served as Director of Special Education for Des Moines Public Schools. She recently retired as a mental health and dispute resolution consultant for the Iowa Department of Education. 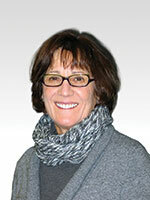 Dr. McGinnis-Smith is the author of the Skillstreaming social skills programs. She and her husband, Carl Smith (also a special educator), have two adult children.